The posters, plastered on London buses, stated “Facts don’t lie. People do.” alongside an image of the controversial pop singer with the word “Innocent” across his mouth. Transport for London (TfL) announced that it will be taking the posters down for “public sensitivity” reasons, having initially signed off the campaign. The posters, which were displayed exclusively on London buses, were approved by the TfL vetting process for advertising campaigns. Jackson’s legacy has been under renewed scrutiny following the documentary Leaving Neverland, which brought to light fresh allegations of child sexual abuse against the late star. 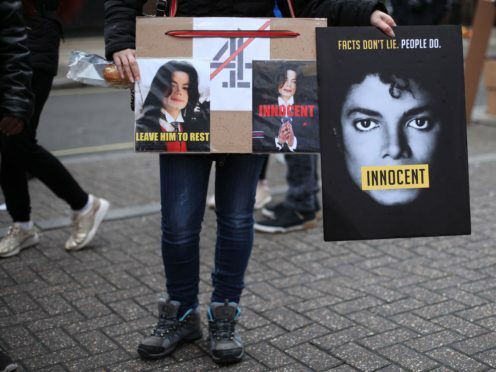 The MJ Innocent campaign is behind the posters, which were paid for in response to the documentary and the claims of Wade Robson and James Safechuck, who allege that they were sexually abused by their one-time idol. Posters were financed through a crowdfunding campaign, which branded Leaving Neverland a “one-sided, sensationalist unreality TV show”. The campaign is part of a push by Jackson’s nephew Taj to rebut the documentary. The posters will be removed within around a week.